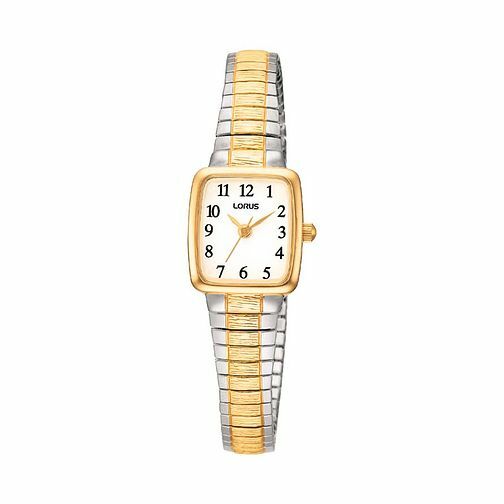 A chic ladies' watch from Lorus with a two tone, expandable bracelet and rectangular dial. Lorus Ladies' Expandable Bracelet Watch is rated 5.0 out of 5 by 1. Rated 5 out of 5 by Anonymous from This product has great features Very pleased with this watch. Love the 2 tone colour bracelet and clear face.